​​​​​Brotli is an open source, lossless data compression algorithm developed by Google, with a better compression density than gzip that reduces bandwidth consumption and helps content load faster. 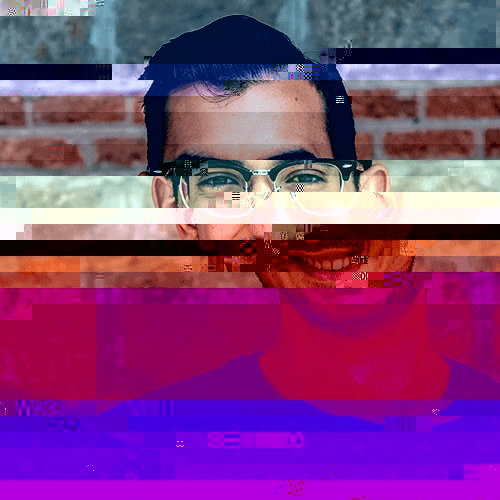 Although it is still in development, brotli aspires be the next general purpose compression algorithm for the web. Nowadays, brotli support in web browsers is above 80%. gzip is the de facto standard compression algorithm for the web. The initial release was 25 years ago 😱. Actually gzip and brotli are very related, using LZ77 and Huffman algorithms. brotli is a promising compression algorithm and every year is better, at least you should be able to support it to offer an alternative to gzip. If you are using a CDN like CloudFlare, probably they are already supporting it. Enable brotli support at CloudFlare is as easy as move this checkbox. If you are writing a web server, it depends on your programming language; Node.js still not added as part of the core but for sure they will do that soon. You can check if your web server has or not brotli support doing a brotli test. CloudFlare: Results of experimenting with Brotli for dynamic web content. 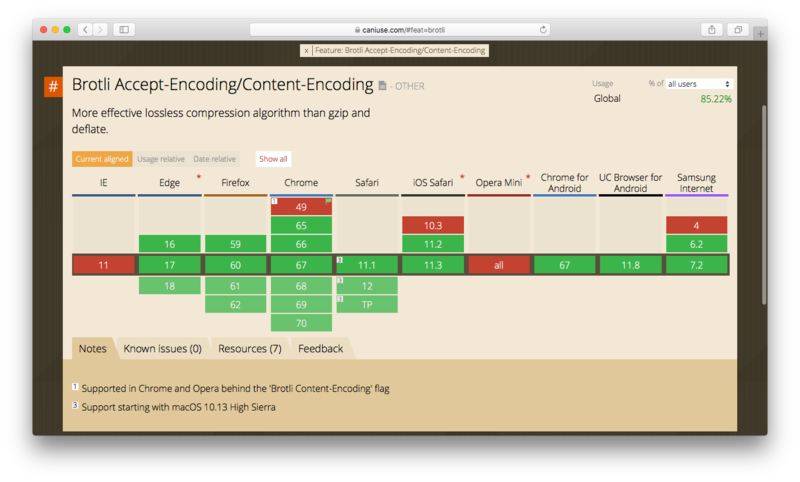 Compression Benchmarks: brotli, gzip, xz, bz2.